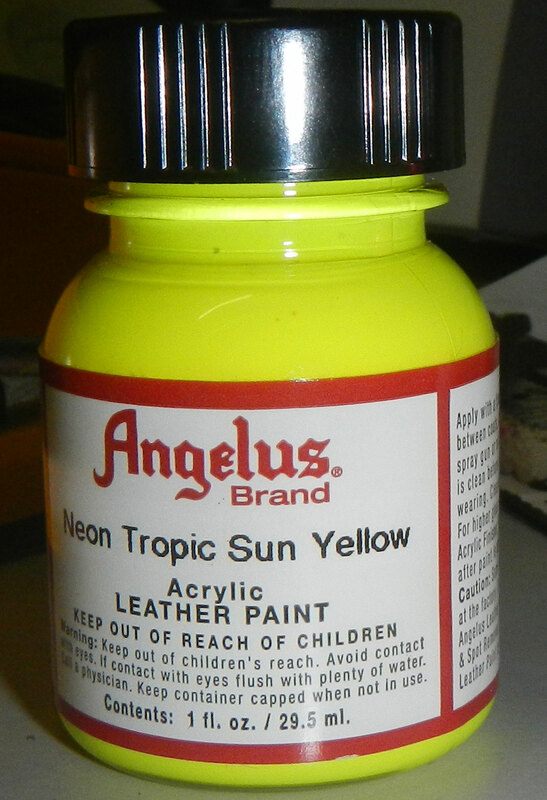 "Angelus Neon Paint Angelus Neon Leather Paint"
Angelus Neon Leather Paints are brilliant color and are to be used for decorating, staining, or edging smooth leather and vinyl articles. Uses are: To paint sneakers to make it into custom sneakers the way they like. For painting special areas on western boots, belts, tennis shoes, purses, jackets, etc. 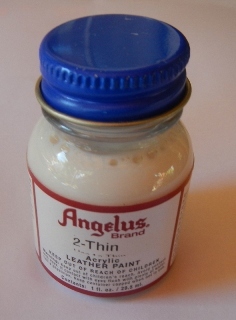 Angelus Leather Paint, when dry, will not peel, crack, or rub-off. Waterbased for easy clean up. To promote a higher gloss finish on some leathers, first apply Angelus Clear Acrylic Finisher, let dry, then apply paint. All colors can be intermixed to achieved countless other colors. 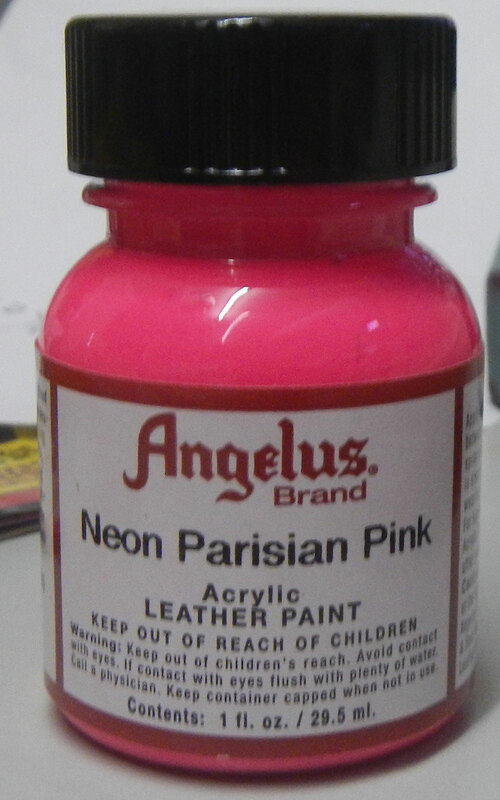 Angelus acrylic leather paint colours may be intermixed to obtain different colours . If thinning is necessary, water may be used in small amount but it si best to thin or lighten shade by adding Neutral Acrylic Leather Paint or 2-thin reducer. It is always best to apply two or more thin coats instead of one heavy coat. To remove Acrylic Leather Paint,simply use Angelus dry cleaner & Spot remover or Angelus Leather Preparer & Deglazer. When properly applied,Acrylic Leather Paint will provide a flexible, permanent, water resistant finish. Apply with a fine paint brush or sponge pad.Allow to dry between coats.It can also be applied with a spray gun or air brush. For best result make sure article is clean before application. Allow to dry completely before wearing.For higher gloss and scuff protection, apply a coat of Angelus Acrylic Finisher, or Satin Acrylic Finisher or Neutral Leather Paint after paint is dry. Some leather articles have a silicone finish applied at the factory. It may be necessary to clean these items with Angelus dry cleaner & Spot remover or Angelus Leather Preparer & Deglazer otherwise the Acrylic leather paint may not adhere correctly to the silicone treated articles.
. Please note that the actual colors may differ due to variability in graphic adapter and monitor settings. Colors may also vary due to the medium to which they are applied.